The world-renowned Giant Lantern Festival is coming up! Mark your calendars! It’s going to be on Saturday, December 15, 2007, at the Amphitheater of SM City Pampanga, City of San Fernando, Pampanga. Most only see the finished product. 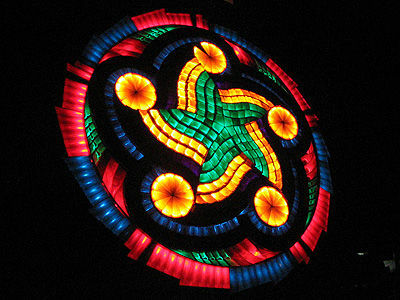 The dynamic interplay of lights and color that precisely moves with the rhythm of a brass band, the magnitude of size and their intricate designs, and so much more which spectators only get to appreciate as the giant lanterns of San Fernando are pitted against each other on festival night. 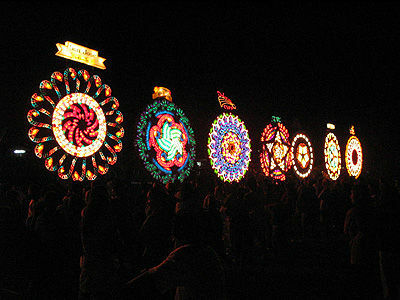 No one can dispute the fact that the Giant Lantern Festival of San Fernando is the event that the province of Pampanga is most known for. And it is sad that we rarely acknowledge the tremendous preparation and investment the makers put in each of these giant lanterns. It is because of these giant lanterns and the San Fernando lantern-making industry that the City of San Fernando has been dubbed the Christmas Capital of the Philippines. The Giant Lantern Festival is quite close to my heart. Aside from the fact that I chaired the Giant Lantern Festival Executive Committee in 2003, the giant lanterns of San Fernando make me proud to be a Filipino. Watching these technological works of art never cease to amaze me as I marvel at the craftsmanship and ingenuity of the Fernandino lantern makers. Anyway, it was a great show as always. Expect a bevy of celebrities and diplomats to attend since the judges are all famous in their own right. Last year, there was Senator Mar Roxas and Korina Sanchez, French Ambassador H.E. Gerard Chesnel who chaired the Board of Judges, Tina Monzon-Palma, and Inquirer founding chair Eugenia Duran-Apostol among others. I remembered how much the festival had changed since I was a kid. Although I lived in Manila at that time, the entire family always slept at our grandparents' house in San Fernando for Christmas Eve. The lantern festival used to be held after the midnight Mass in a small square beside the church. And the lanterns danced to the music of a live marching band. Smaller lanterns used during the lubenas and the barangay patron saint were also brought to the venue. After the festival, the giant lantern of our barangay, San Jose, would pass by the house on the way home, in a procession together with the smaller lanterns and the image of San Jose on a carroza, accompanied by a marching band. And those in the house would usually ask who won since the rivalry between San Jose and Del Pilar was still very strong then, with Del Pilar usually winning and San Jose placing second. Those were the days! Last year, my lantern appreciation skills worked well since the three lanterns that I predicted would win, all made it! Watch out this year for Barangay San Felipe, the defending champion, which was built by my friend, lantern-maker Roland Quiambao! Their winning streak was broken only in 2005 when they placed second. 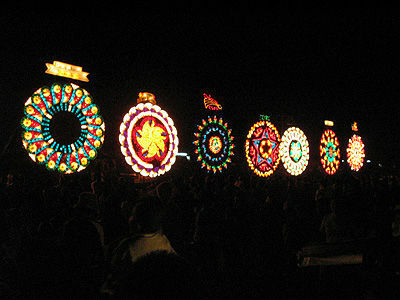 The Giant Lantern Festival is an inter-barangay contest. 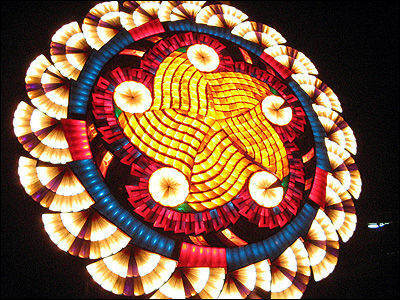 In past festivals, it really was a barangay effort and the best lantern makers of the barangay were called on to create the entry to the competition. 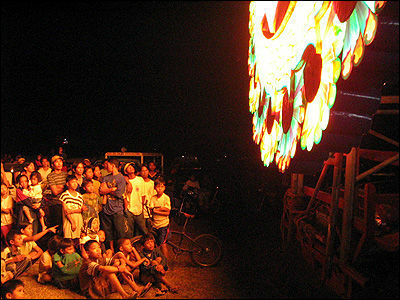 During that time, each participating barangay had resident lantern makers. However, as the years passed, many of these lantern makers were unable to pass on the trade. Today, only Del Pilar, Sta. 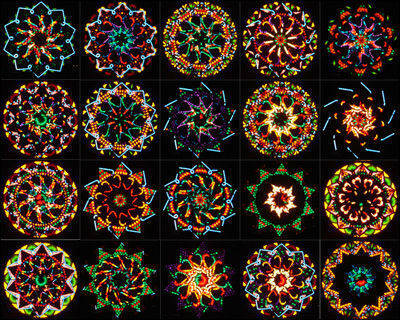 Lucia, Dolores and San Jose can boast of resident lantern makers. 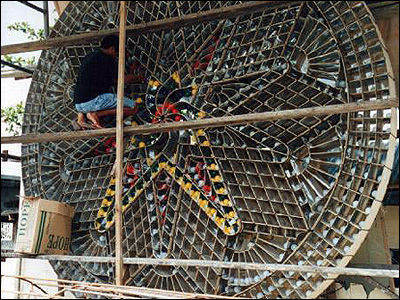 So to keep the show on the road, other barangays have to rely on lantern makers from other localities." Anyway, for the past several years, the giant lanterns have been eighteen feet in diameter, each with an average of 5,000 light bulbs, controlled by 8 rotors or more. Last year, there were twelve entries all deserving of praise for the effort they put in the lanterns. So what's the prize? No cash, just a trophy. More than the cash, it's barangay pride that is at stake. And I hope it remains that way, a community effort where everyone pitches in, hoping to win top honors at the annual festival. If you want to catch the festival, it would be best to come as early as possible. 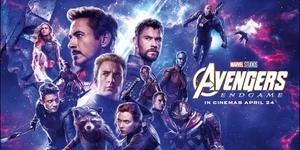 Although it starts at 8 p.m., there will be a lot of people watching. So to avoid traffic, you could opt to watch a movie or do the shopping marathon in the longest shopping mall in the country! And park near the entrance so that you don’t get stuck when the mad rush to the exit begins after the festival. You can also catch the giant lanterns sans the crowd after the festival at Paskuhan Village and on December 24 in front of the Metropolitan Cathedral of San Fernando. Call the City Tourism Office at (045) 9615684 for more information. I'm looking for SM City Pampanga.